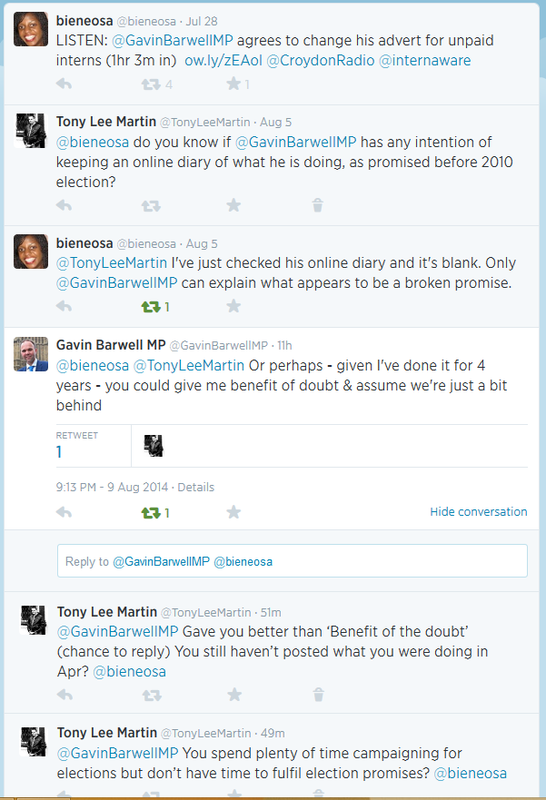 Gavin Barwell the Tory MP for Croydon Central has broken more campaign promises; Prior to being elected in 2010 and during the ‘expense scandal’ Barwell promised that if elected he would publish his diary so that constituents could see what he is doing all year round, not just when Parliament is sitting. He also promised that he would publish his expenses claims and supporting receipts so that constituents could see exactly what he was claiming. Looking at his website today it would appear that he either hasn’t attended any appointments for the last 90 days or hasn’t been publishing them as previously promised. 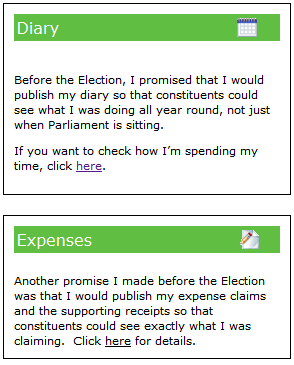 It would also appear that he hasn’t claimed any expenses since 26th Feb 2014 or is hiding them from his own website. Yesterday I contacted Gavin via twitter to see if there is a valid explanation as to the problems with his website but so far I haven’t received a reply. 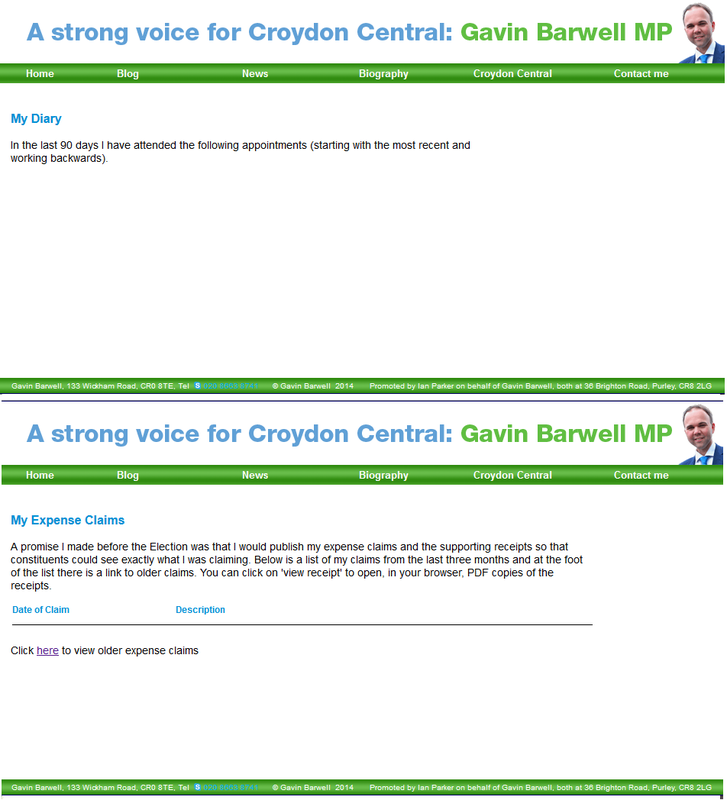 After 5 months of ignoring his election pledge, Gavin Barwell has finally submitted his expenses on his website, but only after being chased up by me on Twitter.